I decided to line the skirt, and for the first time, use a Hong Kong finish for the seams cutting my own bias strips out of silk taffeta. After the random order of beads were on the wire, I faced the hardest part of casting on with wire. I took a deep breath and got in my zen place and relaxed. I let the wire do the work and realized I could bend the wire any which way I wanted. 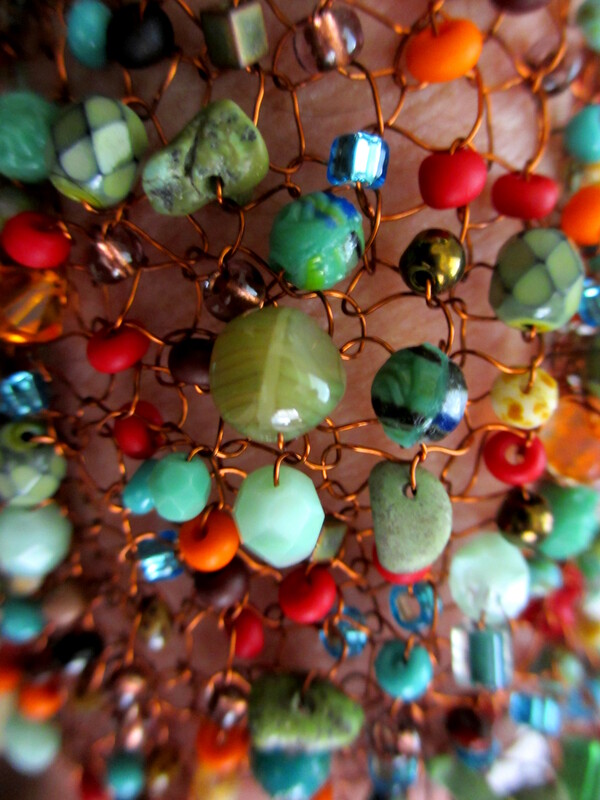 At first, I wasn’t sure I liked the unevenness of the knitting and texture of the different sizes and shapes of beads. 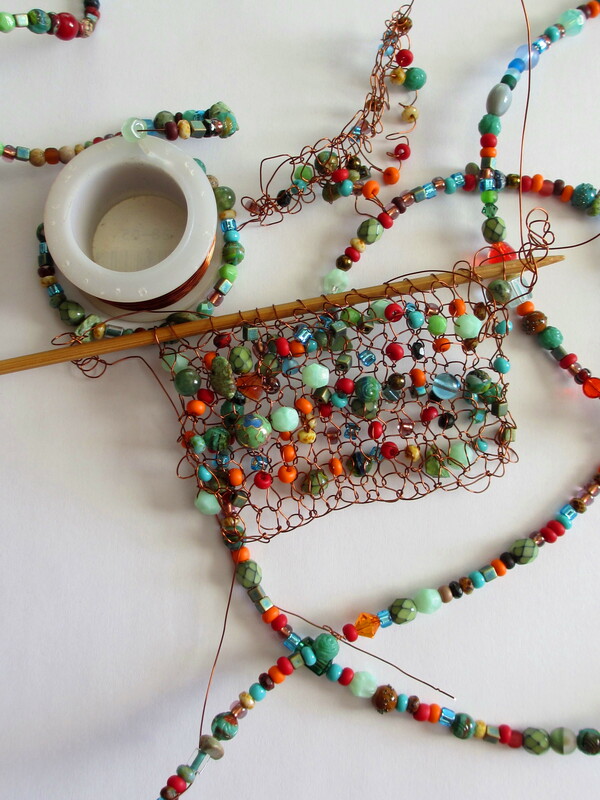 The more I knitted…the more I began to like the piece. 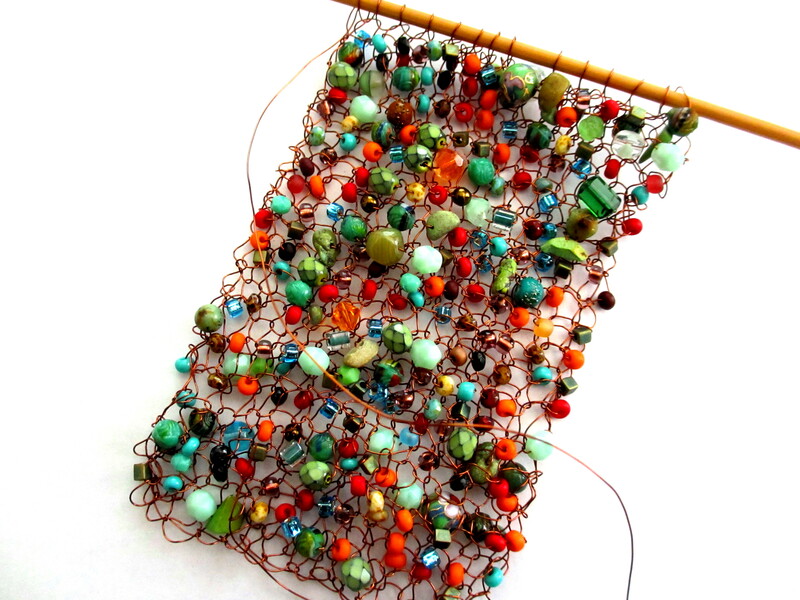 The advantage of knitting with wire provides a perfect opportunity for manipulating the surface. The sculptural possibilities are endless.